In the 1970s, a decade before bumper stickers and T-shirts bearing the phrase Eddie Would Go began popping up all over the Hawaiian islands and throughout the surfing world, Eddie Aikau was proving what it meant to be a "waterman." As a fearless and gifted surfer, he rode the biggest waves in the world; as the first and most famous Waimea Bay lifeguard on the North Shore, he saved hundreds of lives from its treacherous waters; and as a proud Hawaiian, he sacrificed his life to save the crew aboard the voyaging canoe Hokule'a. 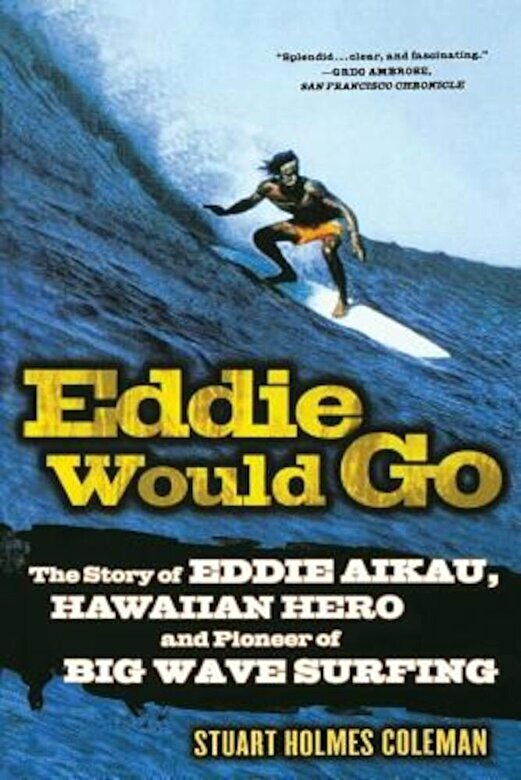 Eddie Would Go is the compelling story of Eddie Aikau's legendary life and legacy, a pipeline into the exhilarating world of surfing, and an important chronicle of the Hawaiian Renaissance and the emergence of modern Hawaii.